Long known for the natural wonders of the Amazon rainforest and a vibrant culture that prizes living in the moment, Brazil has emerged as a powerful economic force in Latin America and the world economy befitting its status as one of the four original BRIC countries. Fueled by decades of healthy economic growth, Brazil overtook the U.K. in 2011 to become the world’s sixth largest economy. 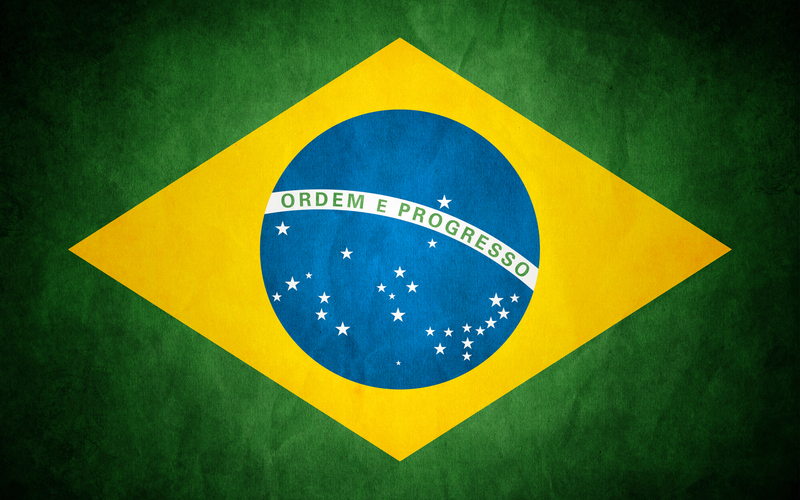 From 1980 to 2011, Brazil’s Human Development Index (HDI) increased by 30.8 percent. Brazil is the world’s fifth largest country by both population and total area. 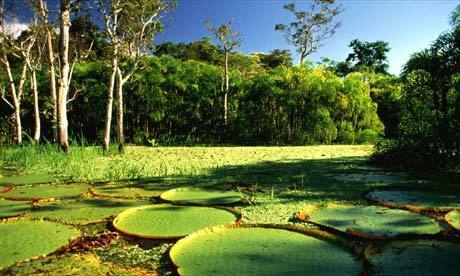 The country’s great natural beauty and biodiversity is on display from the northern cities of Fortaleza and Manaus in the Amazon rainforest to Porto Allegre in the south. The breathtakingly picturesque, cosmopolitan coastal city of Rio de Janeiro vies with business-driven Sao Paulo as leading hubs of Brazil’s economic dynamism. Several high profile, international events have recently contributed to Brazil’s growing presence on the world stage. In 2014, Brazil celebrated its heritage of stylish soccer (football) in the FIFA World Cup. 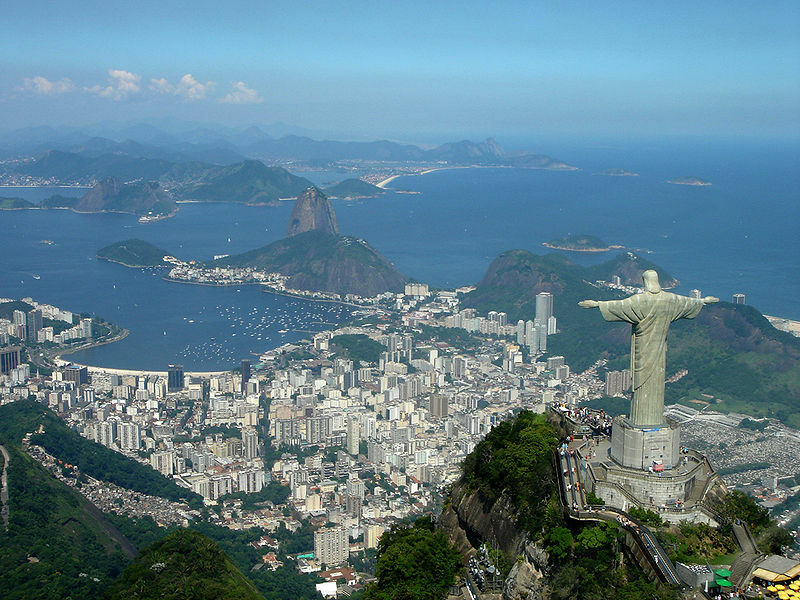 In 2016, Rio de Janeiro will show off its wares as the host city for the 2016 Summer Olympics. 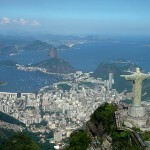 Brazil overtook the U.K. in 2011 to become the world’s sixth largest economy behind Germany (fourth) and France (fifth) according to the Centre for Economic and Business Research’s (CEBR) World Economic League Table. From 1961 to 2010, Brazil’s economy grew at a robust clip of 4.5 percent on average over the 50-year period. 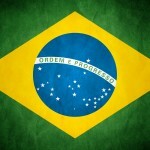 From 1961 to 1980, Brazil’s economy achieved average annual GDP growth of more than 8.5 percent. Brazil’s economic growth has contributed to a healthy increase in living standards. From 1980 to 2010, Brazil’s Human Development Index (HDI) increased by 30.8 percent from 0.549 to 0.718. Despite this impressive progress, the social benefits of Brazil’s economic growth and development have not been shared equally. For the period 2000-2011, the country’s Gini coefficient, a prominent measure of income inequality, was 53.9, second only to Brazil’s Latin American neighbor Columbia when compared against the other 93 very high and high human development countries from the UNDP’s 2011 Human Development Report (HDR). Seven Brazilian companies made the 2011 CNNMoney/Fortune ranking of the world’s largest 500 corporations, including: Petrobras, Banco de Brasil, Banco Bradesco, Vale, JBS, Itausa-Investimentos Itau and Ultrapar Holdings. Headquartered in Rio de Janeiro, the semi-public, multinational energy giant Petrobras, with 2011 revenues of $146.1 billion, came in at number 34 in the Global 500 ranking and stood out as the largest company in the southern hemisphere by market capitalization. Thirty-six Brazilian firms made the 2011 Forbes Global 2000 ranking of the world’s largest companies. On the demand side, Brazilians have lived up to their reputation for enjoying life by rapidly adopting spending habits that are more characteristic of consumers in developed countries. According to Credit Suisse Research’s Emerging Consumer Survey 2011, Brazilians’ devote a considerably larger share of income to discretionary spending than consumers in other BRIC countries. Brazilian respondents reported saving a relatively modest 10 percent, and more than half (52 percent) were not able to set aside any income for savings. Brazil’s knack for consumption is partly a product of very high, rapidly rising inflation rates that plagued economic growth and development in many Latin America countries in the past. This uncertain environment trained many Latin American consumers to spend their money as quickly as they earned it rather than see inflation reduce its value to nearly nothing in a manner of months, days or even hours during the worst periods. If nicknames played a part in the decision, most people, including serious business types, would seem to favor Rio de Janeiro over Sao Paulo. Whereas Rio is Cidade Maravilhosa (the Marvelous City), Sao Paulo and its concrete sprawl is Cidade de Garoa (the City of Drizzle). 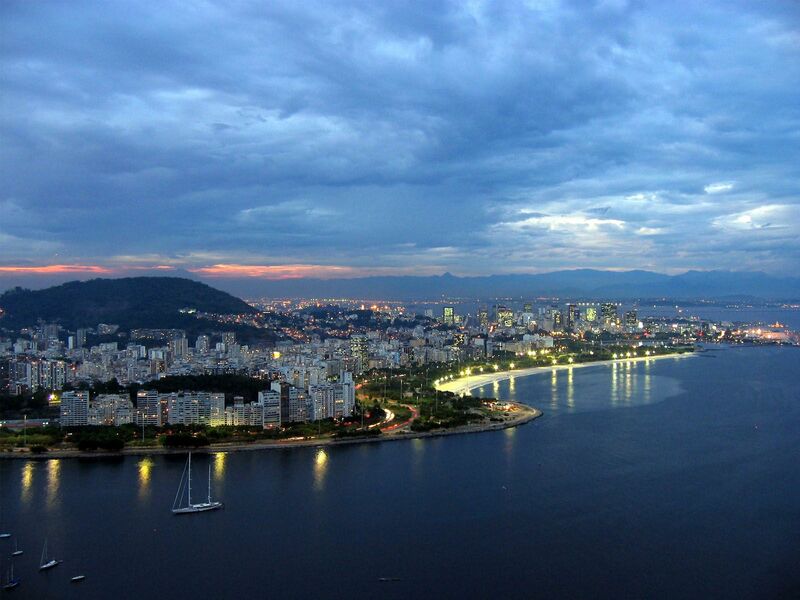 Titans of commerce may prefer not to be distracted by Rio’s many charms. Sao Paulo is Brazil’s financial center and home to most of the Brazilian headquarters of foreign companies. As of September, 2011, a representative of the executive search firm Egon Zhender International conducted 12 searches in Sao Paulo for every one in Rio according to The Economist. 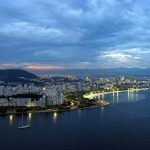 Rio’s mayor has established a business development agency, Rio Negocios, to market the city to businesspeople in sectors where Rio is seen as having an edge over Sao Paulo, including tourism, energy, infrastructure and creative industries like film and fashion. In the energy sector, huge offshore fields are one of Rio’s natural economic advantages, though some energy executives still choose to set up shop in Sao Paulo after weighing the full slate of benefits and costs. 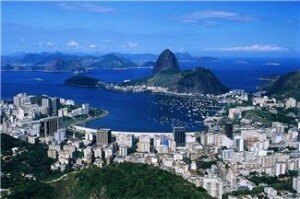 Brazil’s urbanization reaches beyond the high profile poster cities of Rio de Janeiro and Sao Paulo. 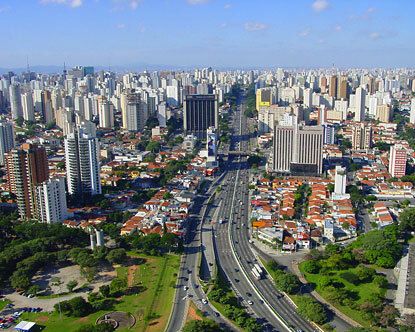 With 86.5 percent of the country’s population inhabiting urban areas, Brazil is one of the world’s most urbanized large countries. While the populations of Sao Paulo (11.2 million) and Rio (6.3 million) are far larger than other Brazilian cities, together they account for less than 10 percent of Brazil’s approximately 165 million urban residents. 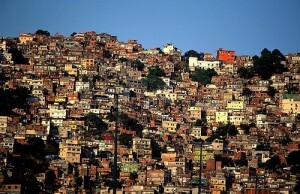 Including Sao Paulo and Rio, Brazil counts 15 cities with populations of more than one million people each. 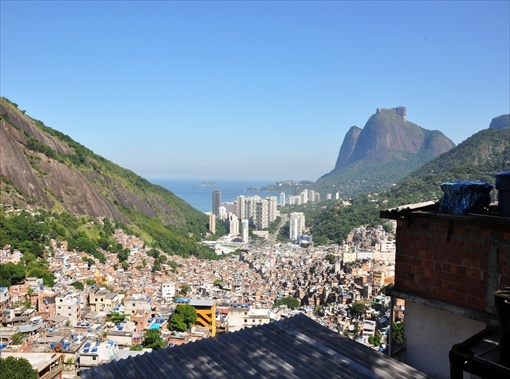 Rio’s many favelas or shanty towns stand in striking proximity and sharp contrast to the city’s upscale environs and stunning scenic backdrop. The early origins of Brazil’s modern-day favelas date to 18th century settlements erected by former slaves who lacked land ownership and employment opportunities. Most current favelas began to take shape in the 1970s when large numbers of Brazilians migrated from rural areas to cities to help fuel Brazil’s modernization. 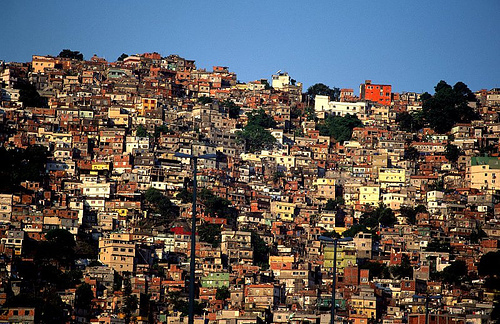 Rocinha is considered Rio’s largest favela with a population of 150,000 to 300,000 people. It clings to a steep hillside in the city’s South Zone, which overlooks the beautiful Atlantic coastline and is better known for the famous beaches of Rio’s Ipanema and Copacabana districts. Fortunately, some have seen fit to aid the residents of Brazil’s favelas. The plight of Brazil’s large population of urban poor has given rise to a number of innovative social programs. 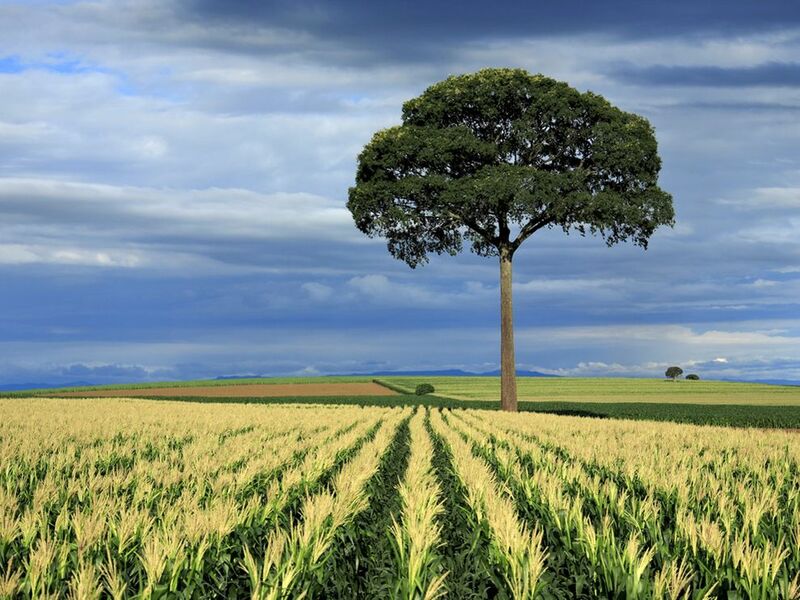 With much of international media attention going to urban Brazil, it would be easy to lose sight of the importance of Brazil’s large agricultural sector. 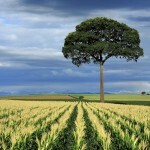 Brazil’s recent history encompasses a remarkable transformation in agricultural productivity and self-reliance. Despite being home to the Amazon and an abundance of natural resources, Brazil struggled to feed itself for a good part of the 20th century. Yet, in the relatively short span of roughly forty years, Brazil managed to go from a net importer of food to one of the world’s leading exporters of agricultural products. The origins of Brazil’s agricultural revolution can be traced to the country’s strengths in agricultural research, know-how and technology. Much of the credit goes to Embrapa, Brazil’s highly accomplished, public agricultural research organization. The rise of Brazil and other developing countries has coincided with increasing “South-South” collaboration in science research and the transfer of scientific knowledge and technology. The IBSA Initiative of Brazil, India and South Africa promotes South-South cooperation in several arenas, including science and research collaboration in fields such as nanotechnology, oceanography and Antarctic research. Brazil is home to about 60 percent or 1 billion acres of the famously nature-rich Amazon rainforest. About 24 million people or 12.6 percent of Brazil’s population lived in the Amazon as of 2011 according to The Economist. Many of them chose to relocate in the 1960s and 1970s in response to a government offer that allowed those who farmed “unproductive land” to keep it. 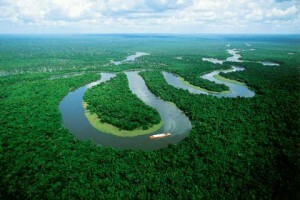 Brazil has made strides in combating deforestation and the loss of biodiversity in the Amazon. Yet, illegal logging and commercial interests continue to be a threat to the region’s trove of natural treasures. The map below from The Economist and Global Forest Watch shows the “arc of deforestation” that eats away at the Amazon forest. More than 500 years ago, in April 1500, Pedro Alvarez Cabral arrived in present-day Porto Seguro with a fleet of 12 Portuguese ships carrying nearly 1200 men and claimed the land now known as Brazil for Portugal. With Portuguese explorers like Cabral more drawn to lucrative spice, diamond and ivory markets in Asia and Africa, the first Portuguese settlers did not arrive in the newly baptized Terra da Vera Cruz (Land of the True Cross) until 1531. 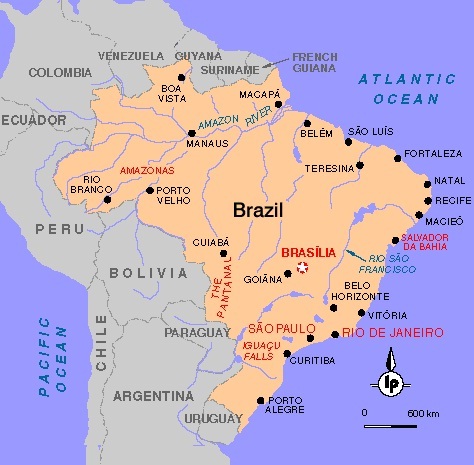 For nearly the next 300 years, the Portuguese carved out the boundaries for present-day Brazil through a host of conflicts with native peoples and competing French and Dutch interests. From about 1550 to the abolishment of slavery in 1888, the Portuguese brought some 3.6 million African slaves to Brazil, nearly 40 percent of all those sent to the New World. Brazil finally achieved independence in Portugal in 1822 when Dom Pedro I became the first emperor of the new country. 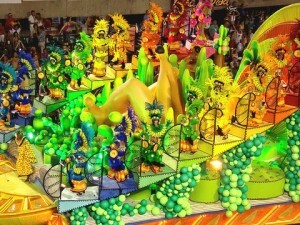 Brazil’s world famous Carnival celebration and contagious samba rhythms reflect the country’s vibrant mix of Portuguese, African and native cultures. Brazilian Carnival’s origins date to Parisian style balls and masquerade parties first held by the largely Portuguese bourgeoisie in Rio de Janeiro in 1641. 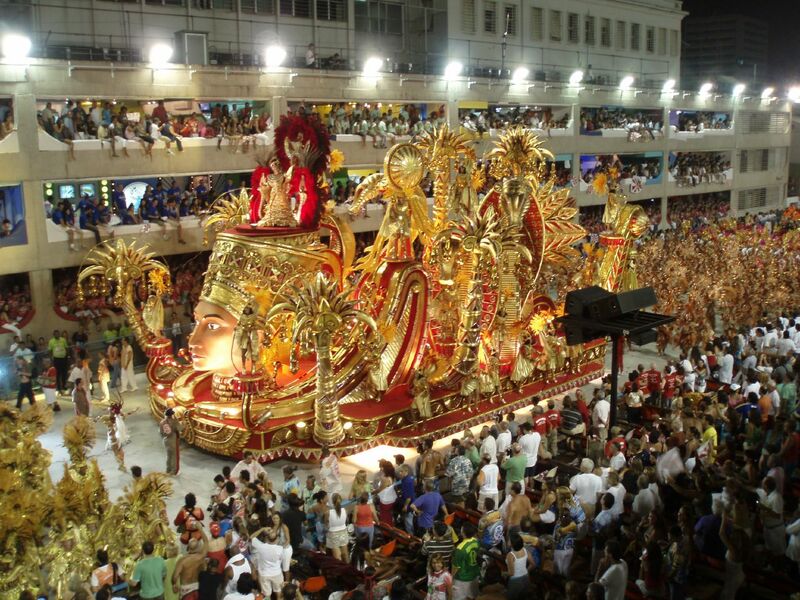 In Rio and Sao Paulo, samba schools lead huge organized parades during Brazil’s world famous Carnival celebration. Rio’s Carnival and samba carioca drew 4.9 million people in 2011. By the first decade of the 21st century, Brazil was rapidly “becoming one of the world’s biggest providers of help to poor countries” according to a 2010 article from The Economist. In the African country of Mali, Brazil’s Embrapa has managed to make cotton yields soar at an experimental farm. The authors estimated the total value of Brazil’s development aid to other countries, broadly defined, could have already reached $4 billion per year. Rio+20, the United Nations Conference on Sustainable Development (UNCSD), marked the 20th anniversary of the 1992 United Nations Conference on Environment and Development (UNCED). On June 20-22, 2012, heads of state and top government officials from around the world gathered in Rio de Janeiro with much pomp and circumstance to address the worthy challenge of advancing sustainable development.